Local diamond miner De Beers Consolidated Mining is proving that women are not just capable of running and operating mines, but have the aptitude to do it well, writes Laura Cornish. Voorspoed may be the smallest carat producer in the De Beers Consolidated Mining (DBCM) portfolio, but it remains an important contributor to the company and its annual production targets. It is the company’s youngest mine, established and launched in 2008, and represents the first of a new generation of 21st century mines that meet the highest standards in environmental and social performance. 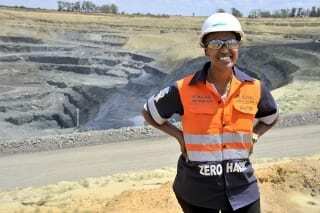 Steering the Voorspoed ship is young, dynamic black general manager, Mpumi Zikalala, whose passion for mining and Voorspoed in particular, is driving the success of this mine. Voorspoed never misses its production targets, thanks to a vibrant, youthful workforce with a large women contingency. Voorspoed is an opencast operation that occasionally produces large and exotic coloured diamonds, and is probably best known for its rare pink stones. It is located about 30 km north-east of Kroonstad in the Free State province. It is currently mining at a depth of about 50 m, over a surface area of 12.5 ha. All diamond processing is carried out at the on-site facility. Because the mine is a marginal operation, its production targets are significant, averaging between 13.5 and 15 Mtpa (run-of-mine (ROM)) – driven by its low carat count per hundred tonnes. Voorspoed averages about 20 cpht, meaning attention to running a streamlined, truck and shovel-intensive operation is essential at all times. “We are currently mining Cut 3, which will take us to a depth of about 300 m by 2020,” says Zikalala. While this leaves the mine with a fairly short lifespan, DBCM is investigating the potential of a Cut 4 expansion project, aimed at expanding the mine further. Drilling to determine this is already under way. DBCM expects to recover about 800 000 carats per year (without Cut 4), or more than 10 million carats over the life of the mine. Activities at Voorspoed, licensed until October 2023, should generate more than R1 billion for the Free State region in salaries, services and locally procured products. Every employee at Voorspoed has completed secondary school and some have tertiary education as well. 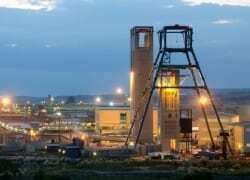 At least 25% of the technical and mining jobs at Voorspoed (of the 428 employees) are held by women, and 27% of the total mine complement is female, a figure Zikalala attributes to the mine’s success. “What makes this mine so special is our young workforce, which is driven to improve and constantly strive to overcome challenges. This motivates me and motivates everyone to work as a unified team – a particularly important aspect considering Voorspoed’s marginal status,” Zikalala points out. The impact this has on the operation’s safety statistics is equally impressive. The mine has had zero fatalities since its mining right was granted, and no lost time injuries in the last 19 months, which in addition to its own employees includes another 506 contractor staff. Cash generated from the mine has helped fund the creation of 19 different small and medium business enterprises and dispersed R5.89 million in the process. Of the 280 people working in these enterprises, 31% are women, youth make up 55% of the workforce and 2% have disabilities. 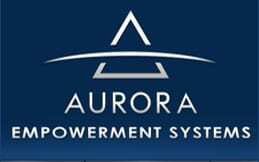 All the businesses provide a service to the mine, meaning the cash recovery rate from these ventures is high. “I always wanted to establish myself within the sector as competent, efficient and capable of handling what many still consider a man’s job. General consensus taught me early that the job is hard, particularly for women. I want to prove the contrary and believe I’m doing so, particularly at Voorspoed, which is considered a gentleman’s mine,” Zikalala points out. Driven by large volumes, the opencast mine operates some of the industry’s largest earthmoving equipment. One of the female employees, Voorspoed’s mining operator, Puleng Polelo, is not only operating one of the ADTs on-site, but is also qualified to operate two other machines. “I love my job, and the value DBCM and Voorspoed has added to my life and my family’s. I look after the machines I use and ensure we get the maximum usage and performance from them. I am productive in my day, and look forward to every shift,” says Polelo.